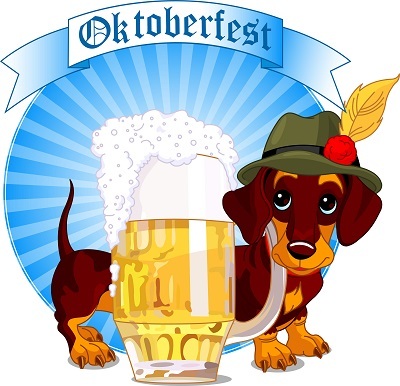 Saturday October 6th downtown Lakeport the Lake County Chamber of Commerce brings Oktoberfest to Main Street. From 1st Street to 4th Street, there will be vendors of all descriptions will be set up from 11am to 7pm. The Food Court between 2nd and 3rd Streets will feature selections of German Food and a variety of other delicious food of choices. German beer choices are wide and varied this year, featuring a variety of Micro Brews including O'Meara Brother's, in the Beer Tasting Garden on 3rd Street where you can purchase tasting tickets and Oktoerfest lanyards with tasting glasses. Tasting hours are Noon to 5pm. This year we will have 2 very talented Strolling Accordion players, Joan Wilson Rueter and Aaron Seeman between Noon and 4pm. From 4pm to 7pm Jimi Z’s Band play for the street dance with their great tunes. Cash prizes will be given for Oktoberfest Costumes – 2 categories, Adults (Singles or Couples) and Children from ages 0 to 15. The very famous Dachshund Derby is back again with signups open until 1:30 on Saturday. There is a $10 entry fee per dog. Rainbow Ag is sponsoring the Derby and is supplying some great ‘doggy prizes’ for the winners. Call Deanna at 263-5092 for more information on the Derby. Everyone has an opportunity to win big dollars with the annual Golden gate Meat Company/Jimi Z raffle. Tickets will be available at the Chamber’s ticket and information booth at 3rd & Main Stret until 6:30pm when the drawing will be held. Three winners will be drawn winning $500, $250 and $250 (cash) respectively. Winners need not be present. Free admission, fees for food, beer and wine.